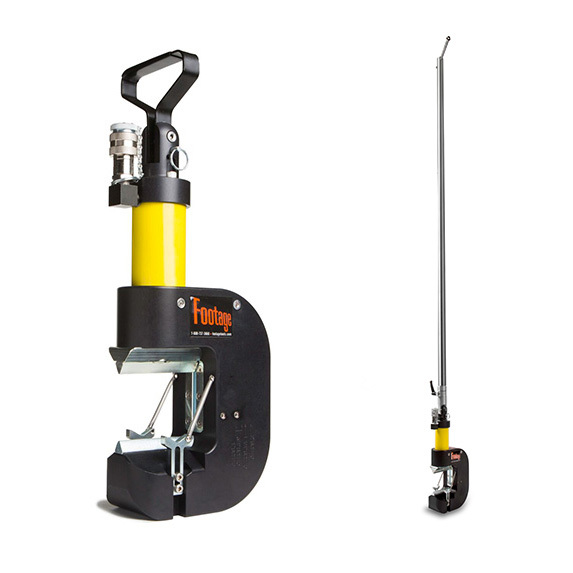 Our new C165 Emergency Steel Squeeze Off Tool is designed to control steel anodeless riser breaks remotely, keeping the operator a safe distance from the damage point. When an emergency arises the C165 will help control gas leaks effectively, efficiently and safely. Safety is the primary goal of the C165. Features include a three-position head that will pivot to 45° and 90°, telescopic handle that can extend from 7’ to 14’ keeping the operator a safe distance from the gas line break.